Is that a Paschal Peep in your pouch? The Metropolitan Opera’s new production of Der Rosenkavalier moved several friends of mine to post on Facebook about their favorite operas, with Rosenkavalier as the starting point (a great many friends of mine are serious opera enthusiasts). I’ll start with two of the lists, noting an oddity in them; then pass to some notes on opera and its history; and finish off with notes on Rosenkavalier and the new Met production. All in the 4/24/17 New Yorker: Beijing street food on the cover, a William Haefeli cartoon, and a Tom Chitty cartoon. 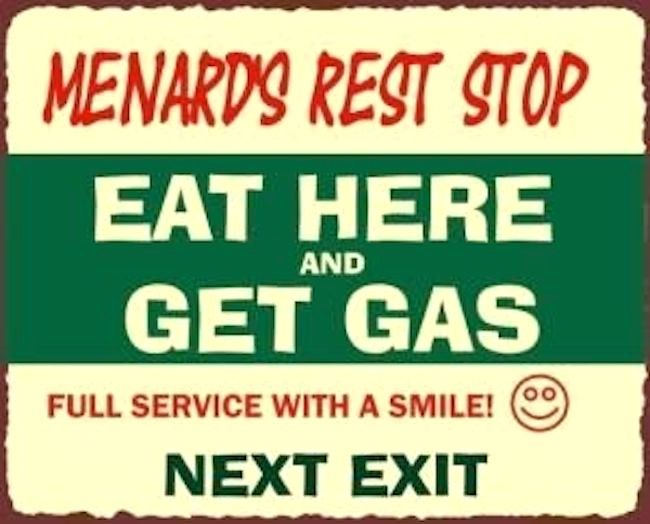 The morning name on the 19th, which led me immediately to other rest compounds: rest area and restroom. 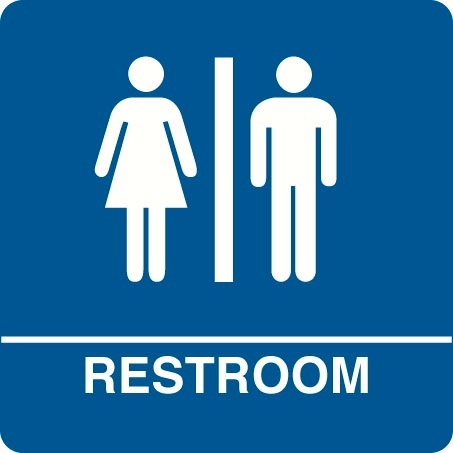 There are the signs. 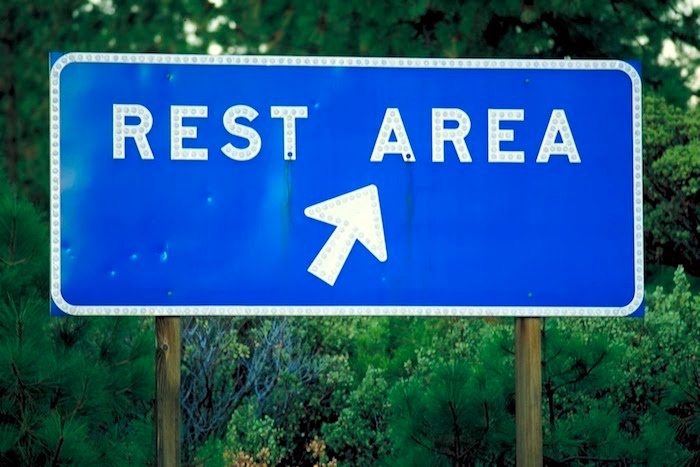 What do we expect at the places the signs direct us to? An Easter gift from Kim Darnell on Sunday: a handsome purple calla lily, looking dark bluish-purple in yellow interior light, but in fact bright pinkish-purple in sunlight. Purple is the liturgical color for the Lenten season, white for the Easter season, so both white and purple flowers are appropriate for this time of year. I’ll start here with the gift calla, in two photos; move on to callas in general and their sexual symbolism, with a digression on George O’Keeffe. 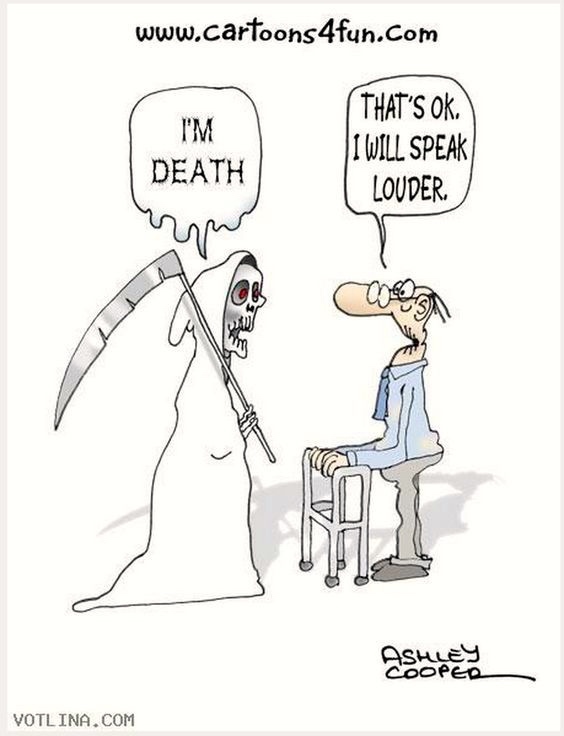 A pun on death/deaf or a mishearing, take your pick. Yesterday’s morning name was chub (the name of a fish), which led me to the rest of the bilabial-final family: chum, chump, and chup. (And that led to the velar-final family chug, Chung, chunk, chuck, but I won’t pursue that one here.) As it is, the bilabials will lead us into many surprising places, including the Hardy Boys books, eyewear retainers, Australian dog food, gay slurs, and hunky underwear models. 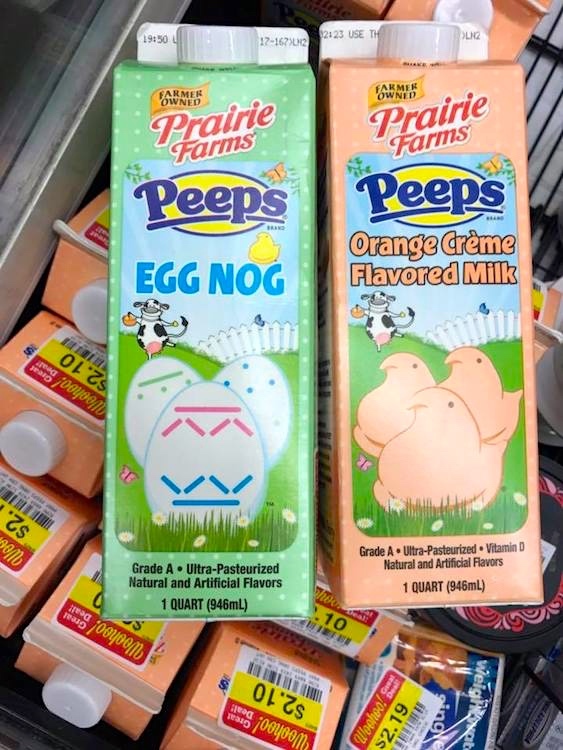 Yes, Peeps-flavored milk. It’s hard to imagine what attractions such a concoction might have, except as a novelty. It’s not so much a bad food idea, like the dessert hummus I posted about here, as an unnecessary food idea: flavored milks are widely available (throughout the world), and Peeps in themselves are nothing more than two kinds of sweeteners (sugar and corn syrup) and gelatin, plus artificial flavorings and colors (of just the sort added to flavored milks). The only thing that Peeps contribute is their name; it’s all marketing. You are currently browsing the Arnold Zwicky's Blog blog archives for April, 2017.